Quick summary of you for those of you who didn’t go to the AGM – and it’s very quick as it was a long time ago and I can’t remember much now. Sorry – should have posted much sooner. Some discussion on map updates and changes required due to IOF introduction of new mapping symbols and control descriptions plus can we put on some Mountain Bike O in 2018? 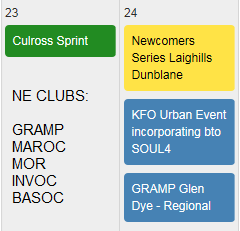 Events: are we taking on too much with such a packed calendar now that membership has waned somewhat? what do the members think we should concentrate on in 2018 or happy to carry on at same level? Subject of training/coaching came up again as not much progress on the good intentions mooted in 2016 AGM. Would still like to organise more coaching- but need someone to plan it and liaise with coaches – either the few remaining qualified coaches in Gramp or outsourced. If you’re interested in either becoming a coach or doing the coordination thing please get in touch with the committee. 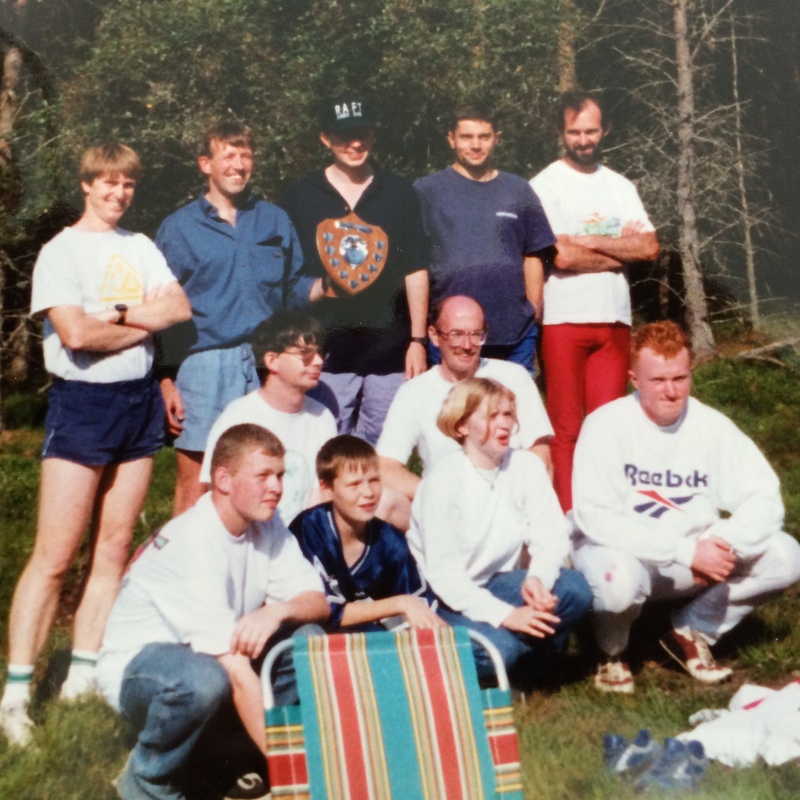 You don’t have to be a medal-winning orienteer just enthusiastic and we can get you some training/mentoring. Liz Sloan is no longer Social Secretary due to job down south so any takers to step in? Anyone fancy playing with their smartphone to set up some Permanent Courses and take over from Stuart as POC mannie/wifie? 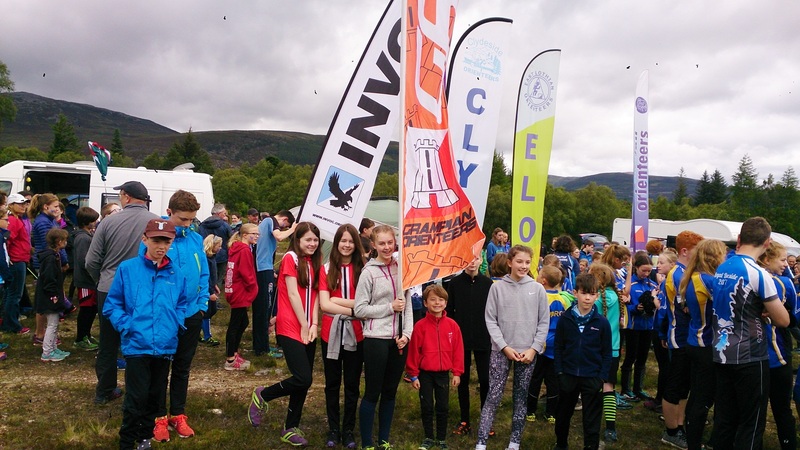 SOA website has a post with regular updates on how Scottish athletes are helping Team GB rack up some great results at this year’s JWOC with Sasha playing a big part. In the Middle Sasha comfortably made it through the heats to the A Finals finishing 7th, missing a podium place by only 1 second. In the Sprint he had an excellent run to finish on the podium in 5th! 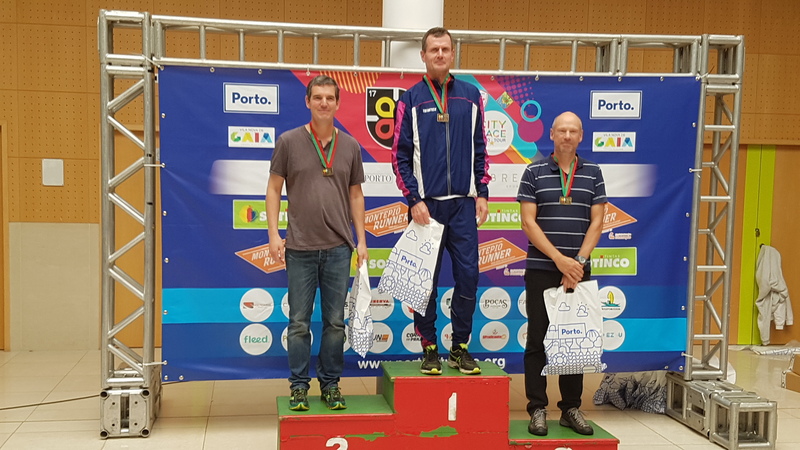 Relay – 9th – think I’ve got that right but my Finnish isn’t so good. Maybe Lena can confirm for us? 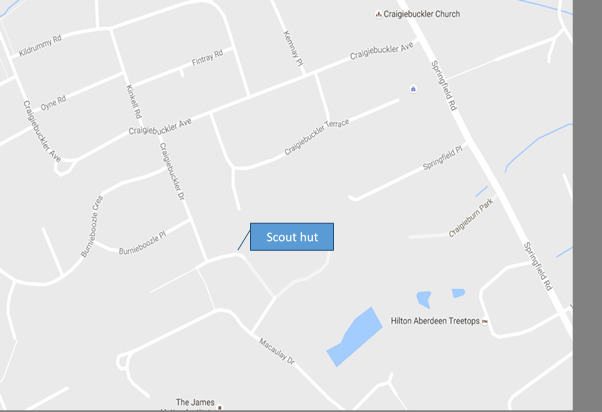 Check this space… for links to GPS, live results and Arena video/commentary. Other ‘locals’ doing well are Grace Molloy and Jenny Ricketts 19th/24th Middle A Final and 20th/13th in the Long respectively and 2/3 of the W20 Relay Team who came an amazing 5th place. Compass Sport Cup 2017 – 3rd place for Gramp in the Trophy class! =-O How did that happen?! As a club with no clear strategy or captain (although we did have a banner which was more than many) we somehow managed to rack up enough points at Tentsmuir to come 3rd in the Trophy class (small clubs) and a mere 6 points behind arch-rivals Maroc. Result! It’s a team competition so you need strength and depth across a variety of age classes/courses, so potentially anyone’s score could be the deciding factor between placings. Tentsmuir’s an area well suited to such a broad variety of competitors with a grid of forest blocks, some of which have small patches and ridges of highly complex contour detail for the TD5 courses. The blocks seem ridiculously easy at first glance but lulled one or two of us into a false sense of security and caught us napping. Thanks to all 31 Gramps who ventured down and particularly to our 13 highest scorers shown in bold below. Bob Sheridan; Gordon Urquhart; Duncan Will. For full results check out Robin Strain’s results pages. This now means that we’ve qualified for the CSC final down in Devon 22/10/17 at the intriguingly named area, Virtuous Lady – fancy an Autumn break anyone? FlyBe will get you to Exeter via Manchester for a mere £180! Double win for Lesley Gomersall at Scottish Night and Sprint Champs 2017! Full results and RouteGadget can be found on the MOR website. What do you make of the courses? 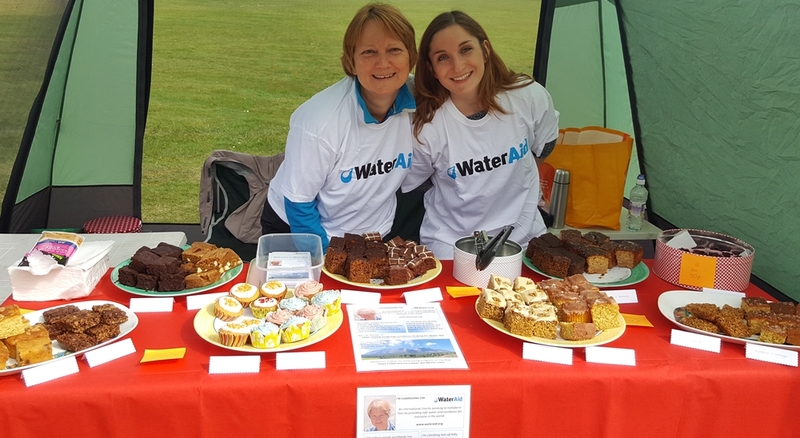 Anne Hickling is doing a charity trek for WaterAid later this year and was busy raising funds at the Relays today. Ask her all about it at one of the Summer Series events as I can’t remamber the name of the mountain she’ll be climbing but I do remember it’s 3002m high so that’s her target in £ too. Doubt there were any cakes left today (despite Helen having to use a wide angle lens to get them all in the pic) but I’m sure she’ll bake to order for Templars Park BBQ if we were all each to pledge a £1 extra on top of our Summer Series fee for 10 of the events? Heart attack or choking – would you know what to do? What’s this got to do with orienteering? Well, it has been known for competitors to collapse and the cakes that Maroc Juniors turn out are choking hazards just waiting to happen as you gobble them down they’re so good!! The defibrillator kept in CNR’s reception was recently used, successfully I’m happy to say, on a member of the public who’d collapsed outside. Our SHE department sent round a link to an interactive video from the Resuscitation Council (UK) on how to perform CPR, use a defib and also how help anyone choking. I know we have club members trained in first aid but it’s still worth taking a look at this just in case it’s you who has to act in the middle of a forest one day. Be warned, it’ll get your heart racing as you try to “resuscitate” victims with your keyboard while a clock ticks down and the mood music and acting simulate the pressure you’d feel. Very effective messaging as well as teaching you the mechanics.